Why has nonfarm business productivity growth been so weak during the current economic expansion? That’s been an ongoing puzzle. I have noted that most of the jobs gains since payroll employment troughed during February 2010 have been in service-producing industries, where productivity tends to be weaker than in goods-producing industries that can deploy automation and robotics more effectively. Since that employment bottom back in February 2010 through August of this year, payrolls are up 14.9 million, led by a 13.2 million increase in private services employment. However, that’s not a new development. The ratio of goods-producing payroll employment to total payroll employment has been declining since August 1943. It is down from 44.1% back then to 13.6% now. In other words, the percentage of total employment in services is up from 55.9% to 86.4% over the same period. The big surprise in the economy’s productivity slowdown is the remarkable weakness in manufacturing productivity during the current expansion. That has weighed heavily on the slowdown in overall nonfarm productivity. The ratio of nominal goods output in real GDP has also been on a downward trend since Q1-1948. It has declined since then from 52.3% to 29.6% currently. However, manufacturing industrial production managed to rise to a record high during December 2007, and it has regained 18.8% since its recent recession bottom during June 2009, though it has remained stalled since mid-2014 at 5.8% below its previous record high. The quarterly productivity release tells the same story for the real output of manufacturing, which also has stalled since mid-2014, though back at its previous record high during Q1-2008. The sad part of the story is that the y/y growth rates in both measures of factory output have slowed significantly during the current expansion down to zero, contributing to the slow pace of overall economic growth, including the significant slowdown in overall productivity. The problem may be that many factories have reached “peak productivity.” They are fully automated. They are extremely productive from a supply-side perspective. In a world of secular economic stagnation and plenty of excess capacity, the demand side of the productivity equation is weak. As I have noted before, the productivity of the most efficient widgets plant in the world is zero if there is no demand for widgets. There’s lots of demand for US manufactured goods given that the sector’s real output is back at the previous cyclical high. It just isn’t growing. Auto sales seem stalled at a cyclical high of around 17.0 million units (saar). Housing starts have recovered but have yet to rise meaningfully above previous cyclical lows. Real merchandise exports have been relatively flat for the past two years in record-high territory. Non-defense capital goods orders excluding aircraft is down 6.5% over the past 24 months through July. The weakness in exports and capital goods has coincided with the weakness in demand for energy-related goods and services since mid-2014. (1) Productivity. Hours worked in manufacturing has declined by 27% from the start of the data in Q1-1987 through Q2-2016. Over the same period, the sector’s output is up 85% as a result of big productivity gains. During the current expansion, manufacturing productivity growth has been practically zero since Q3-2012. The 20-quarter (five-year) growth rate in manufacturing productivity plunged from a high of 8.5%, at an annual rate, during Q1-2008 to 0.9% during Q2-2016. The data for this growth rate start in 1992. I’ve constructed a proxy for manufacturing productivity (using monthly production and employment data for manufacturing), which currently shows a comparable growth rate of just 0.4%, the lowest on record starting in 1952! (2) Purchasing managers. I thought that the slowdown in manufacturing was mostly attributable to the plunge in energy businesses’ activity resulting from the plunge in oil prices. Now that they have recovered somewhat from their lows at the beginning of the year, I expected to see better manufacturing numbers by now. That’s not happening, so far. Indeed, August’s M-PMI was certainly disappointing across the board. The overall index as well as its three major components (orders, production, and employment) all were just under 50.0 last month. Some of the weakness in manufacturing may be starting to rub off on services. The NM-PMI dropped 4.1 points from 55.5 during July to 51.4 in August. Here too, all three major components dropped last month, though they all remained above 50.0. (3) Regional surveys. The averages of the composite, orders, and employment indexes of the business surveys conducted by five Fed districts (Dallas, KC, NY, Philly, and Richmond) all were slightly negative last month. So they are confirming the weakness in the latest national M-PMI survey. (4) Bottom line. The Atlanta Fed’s GDPNow model forecast for real GDP growth in Q3-2016 was 3.5% on September 2. As I noted recently, the labor market and consumer spending indicators support that solid forecast. However, the manufacturing data and the services PMI do not. 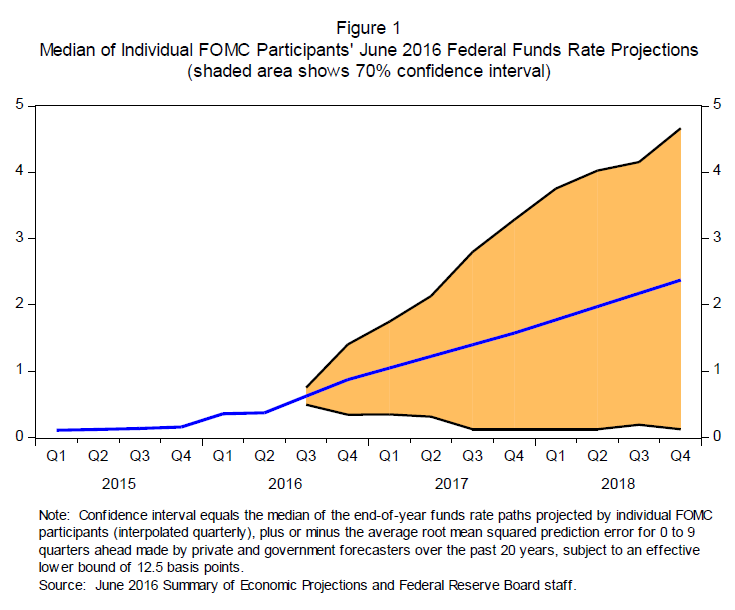 If Fed officials are intent on getting one rate hike done this year, following last year’s one-and-done, they might consider doing it at the upcoming FOMC meeting on September 20-21. The next batch of economic indicators might not give them another chance to justify a rate hike this year. We are in a fine mess if the Fed can’t justify one measly 25-bps rate hike per year. FRB Governor Stanley Fischer may be about to lose all his credibility. 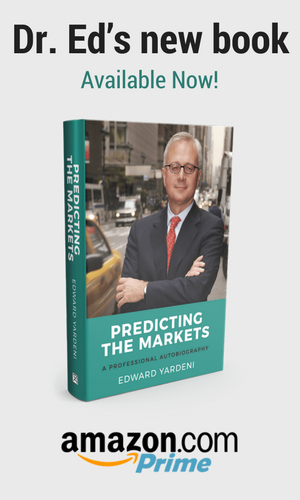 He predicted four rate hikes at the beginning of the year for 2016. Last week, he was down to two rate hikes for the year.